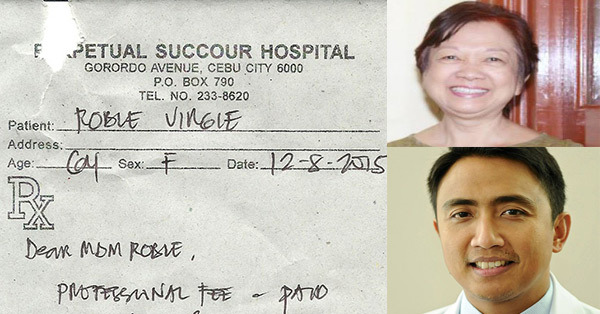 A medical doctor in Cebu City waived his professsional fee for a former teacher. What he wrote in his note will surely touch your heart. 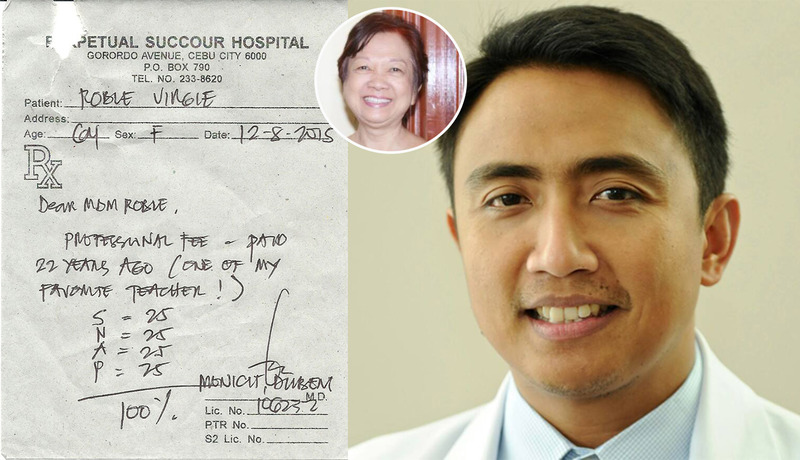 The patient, Virgie Roble, has just checked out of Perpetual Succour Hospital in Lahug when she got a note from the nurses' station. It says: "Professional Fee paid 22 years ago." Dr. Dilbert Monicit did not charge anything for his services as a surgeon. It was his way of expressing gratitude to his favorite high school teacher who molded him into what he has become now. The 64-year-old teacher thanked him for the early Christmas gift. It was definitely good karma, a perfect example of the proverb "you reap what you sow." Good job Doc! Our salute for your humble act of kindness.